well, here we are again, the icing season is upon us. 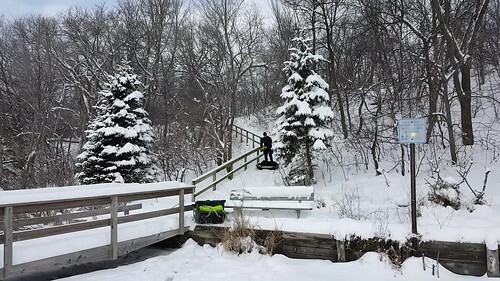 Some of us have been chomping at the bit to get under some ice, some others have had some trepidation and needed to get their shi icing spirit put right, and some others seem to be banned from mnscuba at the moment (terry). Im here to kick off Trinity's 7th Hydro's First Annual Icing Challenge! To start the season we had 1 degree and 4 inches of clear ice under an undisclosed lake directly east of a large ski hill south of minneapolis. The weight of the snow is really pushing down on the ice and where the water gets through we had a few inches of saturation. 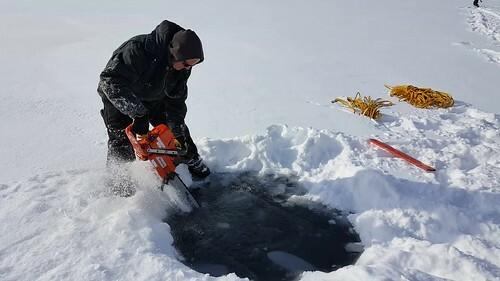 Hopefully in a few weeks or less we can use some more mechanical assistance to get to the dive sites as the 5 inches of snow under the sled is a little brutal for haulin. It was a good day of icing-really friggin cold out, now i remember why i like rubber dive suits-mine is Trilam and it took me 40 minutes in the car with the heater on before i could move my arms to drive! Where is the Pic of the turtle? 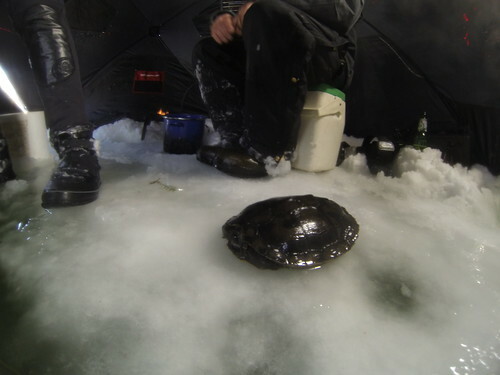 You guys ever wonder how turtles can breathe when they are hibernating in the water under the ice? There's a lot going on to make it happen, but one part of the answer is pretty bizarre. Popo might know this one. hope these work ok, i didnt have a tripod.